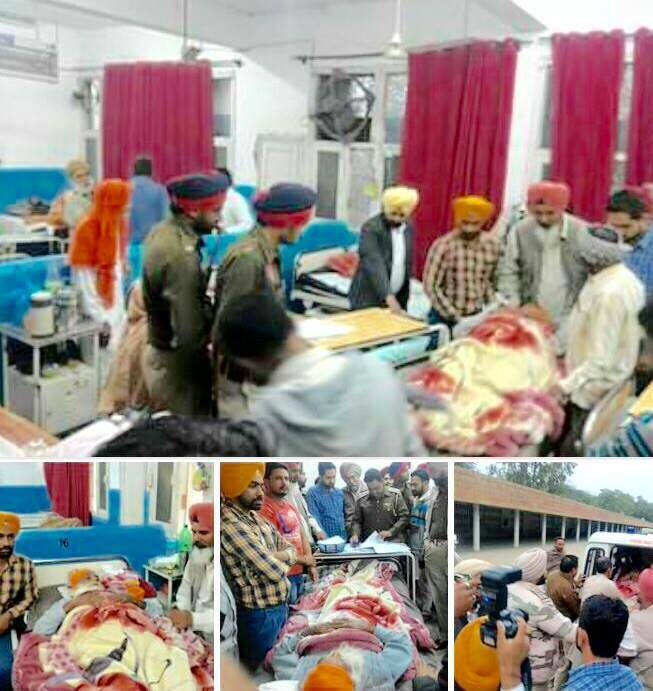 FARIDKOT, Punjab—The 65 years old aged man Jarnail Singh, who allegedly slapped Sikandar Singh Maluka in village Hamirgarh of Bathinda province, was forcefully taken into police custody from Guru Gobind Singh Medical College & Hospital of Faridkot. Police contingents headed by SHO Birbal Singh arrested Jarnail Singh from Hospital in relation to cases registered against him, on the complaint of Sikandar Singh Maluka’s personal assistant Kuldeep Chand. Information available from various sources reveal that the police arrested Jarnail Singh in a very poor health condition. Jarnail Singh was experiencing pains in his body and was dizzy at the time of his arrest. Sources informed that Jarnail Singh was forcefully discharged from the doctors of Guru Gobind Singh Medical College & Hospital. Jarnail Singh was not able to move at the time of arrest and he was placed in ambulance via a stretcher. The police officer took thumb impression of Jarnail Singh during his semi-unconscious condition.